It was a hardly fought battle in the final Round 12 of the World Championship 2016, as both players seemed eager to split the point and proceed to the tie-break rounds instead. Hardly any effort was exerted by both parties in order to create imbalance and thus make the game more interesting. 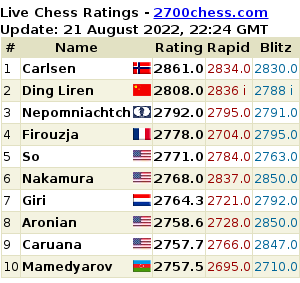 The World Champion, Magnus Carlsen, will thus defend his title via tiebreak rapid and/or blitz games. All these rapid and/or blitz games will be played in one day with 10-minute breaks in between games. Tie-break games is on and live coverage should be available in ChessHive Live page. Remember that you may enjoy multi-camera live streaming with live commentaries by chess celebrities and grandmasters if you unlock Worldchess.com’s full service when you visit their official website. Furthermore, you may enjoy 10% discount if you use our promo code: BISHOPD3. Replay all the games (and download all PGN) of the World Championship 2016 match. Carlsen is in danger…karjakin for the win!